Assuming my travel arrangements all work out, I’ll be at this year’s Libre Graphics Meeting in Seville, Spain, April 26-30. I’ll be giving a workshop called “In The Nodes”, about node based interfaces in open source software, for instance in Blender, Godot game engine, and my own Laidout. So if you are in the neighborhood, come on down, there is sure to be a lot of interesting activity about all things open source graphics software! 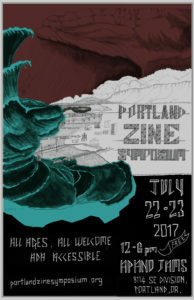 Come one, come all to the Portland Zine Sypmosium! I will have a table of stuff there on Sunday. 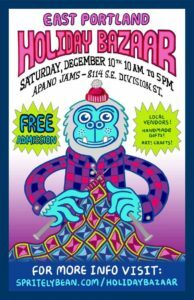 July 22-23, 12-6 pm at Apano Jams, 8114 SE Division. 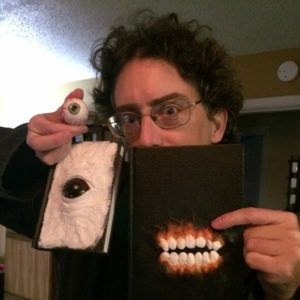 Come on down to the East Portland Holiday Bazaar this Saturday, where I’ll have a variety of comics, panoramic photo balls, and sketchbooks with sculpted covers for sale!